Jamie Soar suffers from retinitis pigmentosa, a condition that has rendered him legally blind and which affects some 100,000 people in the U.S. alone. Because of the dual-screen projection method used in virtual reality, Soar was able to see normally for the first time in his life. 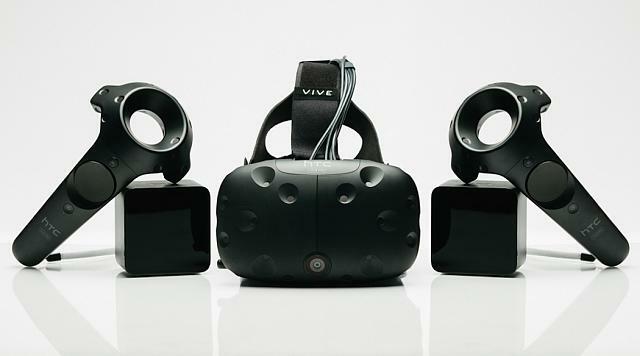 With the rise of specialized hardware such as the HTC Vive, Oculus Rift, and Samsung Gear VR, virtual reality (VR) is at its most accessible point ever. It provides an immersive and realistic simulation of an environment, one which is created entirely through software and hardware. And notably, this environment can be experienced or controlled by the movements of your body. To this end, VR opens up an entirely new world (literally) of possibilities. Given its ability to create mesmerizing scenes, most would understandably tend to associate VR with things like gaming or movies, but this new technology has so much more to offerlike letting a legally blind man see clearly for the first time ever. Jamie Soar, as a consequence of suffering from retinitis pigmentosa, is living with a bevy of optical disabilities. Aside from being myopic (near-sighted), he is also constantly seeing double. In dark areas or during the night, he has to navigate his surroundings using a blind cane. However, after putting on a virtual reality headset loaded with a demo, Soar was able to see as clearly as if nothing was really wrong with his eyes. This is because the VR headsets, along with the images they are flashing, are uniquely designed to be able to trick the eyes. The sense of depth that is created by VR, as well as the dual-screen projection method employed by his headset (an HTC Vive), was able to help reverse his visual impairment. This is because VR devices are fabricated in such a way that they provide the illusion of depth through unique lenses that are really terribly close to your face. Soar noted the difference in an interview with UploadVR, and he encouraged others to try VR to see how it could aid them: Part of me thought that something strapped to my face might work because of my reliance of things being up close. Where I lived in England there were essentially no demos, so when I saw that there would be one in London even though it would only be a 15-20 minute experience I decided to make the long journey and go for ittry VR . Find a means to try it because I went so long without ever knowing that this extra dimension existed that you can see. Try out as many experiences as possible. It might not be for everyone but it might give people a lot more freedom or independence in what they do. Indeed, virtual reality could be adapted for use for a myriad of other endeavors and to help with a great number of issues. As early as 2014, scientists proposed creating events and scenes using VR to give members of the jury a deeper understanding of the crime on trial. TeenDrive365, meanwhile, developed a virtual reality distracted driving experience to help push its campaign for safe driving. It could also be used to provide a safe environment for people to confront their phobias, like this app that can help individuals overcome their fear of public speaking. And honestly, this is just the beginning of it all. Researchers at the University of Birminghams Human Interface Technology (HIT) are using virtual reality to help train medical personnel in emergency medicine and anesthesia. With this technology, emergency nurses and paramedics can safely be trained in a visually realistic environment. The project combines a representative human body, an inflatable Chinook interior, as well as Virtual and Augmented reality aspects. Using these tools, the program shows medical personnel how to resuscitate and stabilize the wounded and safely transport them to a Field Hospital, and best of all, it simulates the real environment, which helps to prepare personnel in ways previously impossible. And keep in mind, VR really only broke onto the scene this yearso far greater things are likely on their way. Wow this comes pretty close to my post where I asked could VR help blind people in the future? Great to see this! I was looking info about it and because being blind is more related to how good you are able to see, so this case is pretty good for them. But I haven't found anything about direct optical nerve stimulation.